Marijuasca is the result of pairing our stud Oaktree plant that has provided so many stable and potent strains, to our Breeders Stash collection Blackberry Pie. The Black berry pie is a cross between Oakland Purple Kush and the Grapestomper by Gage Green Group; This pairing strengthens up the Purple Kush while reinvigorating the strain and lending to a more OGkush expression by finding and unlocking the P1 male dominance trait of the Joseph OG. 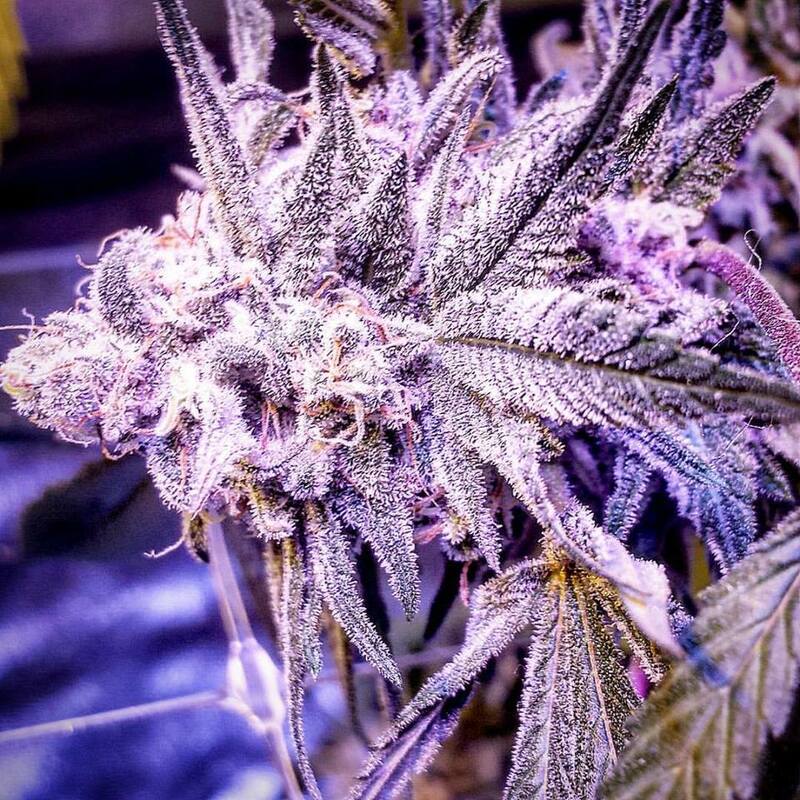 You can expect very dense rock hard buds of a purple candied OGkush plant. Growth is linear in vegetative state and stretches to double height in flowering while packing flowers of pinene and myrcene. She is a pure BEAST MODE plant as you can see from the picture in the sidebar, she will turn your room or tent into a jungle of vines and fowers. Marijuasca was given away to all our customers in the second half of 2017 to test out and report their findings. 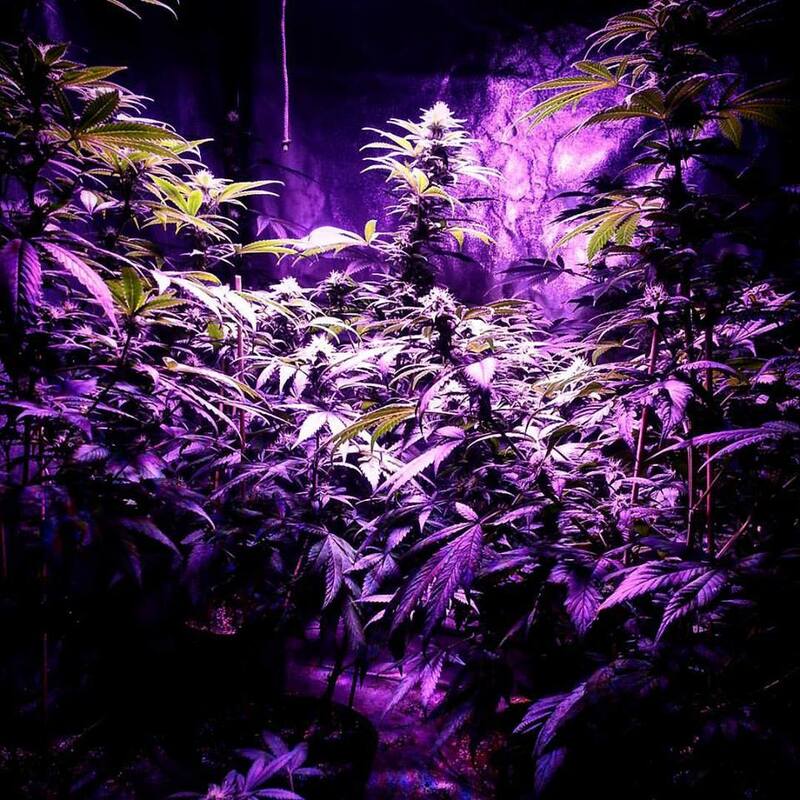 The plant grows large leaves and structures like a Sativa plant indoors and out, This plant was tested indoors and in cornfields around the great state of Ohio. The feedback has come in positive and we are now releasing it as our first official seed drop of 2018. Heavy Narcotic stone with an above average yield.. the definition of quality and quantity.